Idell Austin, 96, of Albemarle, went home to be with the Lord on Thursday, February 7, 2019 at Stanly Manor in Albemarle. 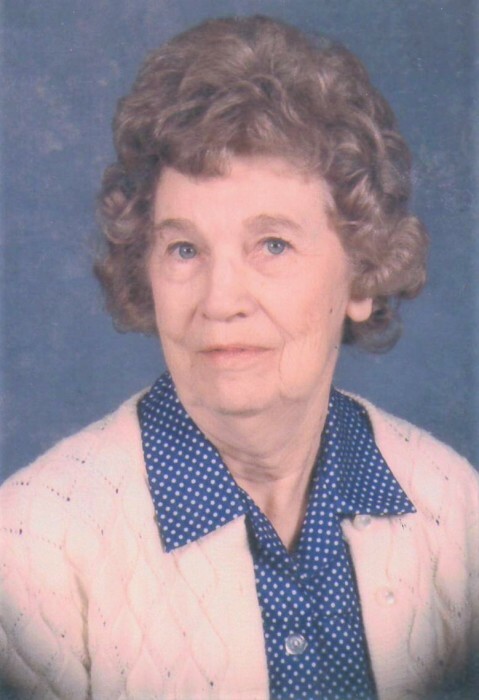 Mrs. Austin was born March 7, 1922 in Stanly County to the late David Franklin Huneycutt and the late Daisey Bell Huneycutt. She was also preceded in death by husband, Jessie Wayne Austin, Sr.; sisters, Nellie Jane Hartsell and Anna Belle Whitley; brothers, Vane Huneycutt, Calvin Huneycutt and Thomas Huneycutt; and grandchild, Samantha Dell Hughes. The family will receive friends from 2:00 PM - 2:45 PM, Sunday, February 10, 2019 at Aquadale Baptist Church, 32871 Church Road, Norwood. The funeral service will follow at 3:00 PM in the church sanctuary officiated by Rev. Jimmie Hudson and Pastor Tom Mauldin. Burial will follow the service in the church cemetery. Survivors include sons, Jessie (Ginger) Austin, Jr. of Albemarle and Terry (Tonya) Austin of Midland; daughters, Joyce (Lee) Furr of Oakboro and Terresa (the late Eugene) Hughes of Denton; nine grandchildren; and eighteen great grandchildren. Memorials may be made to Aquadale Baptist Church, 32871 Church Road, Norwood, NC 28128.